Providing IT support for education is one of our specialties; we understand the needs and challenges of a 21st century classroom. Our education technology specialists and skilled engineers are experienced in designing, integrating, and managing learning environments. We design customized solutions to meet your specific needs and help you keep up with constantly changing technology demands. We optimize your network, ensure you have enough bandwidth for digital learning, and ensure maximum Internet performance, speed, and availability. Whether students are at home or in the classroom, our onsite and offsite content filtering will block inappropriate content and protect your network against malware. With next-generation security solutions, we ensure your network and data are as secure as possible without impairing network performance. From desktop to server virtualization, we help simplify and consolidate your infrastructure, maximizing your resources and reducing IT costs. 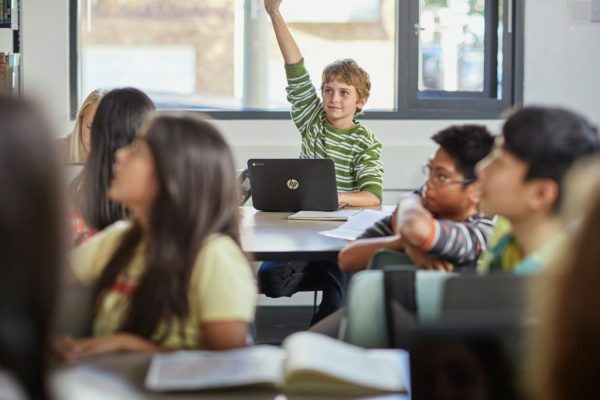 We improve wireless performance in your learning environment, reduce network complexity, and ensure you have enough coverage for all your devices. With the push of a button, teachers can lock screens, restrict or push applications, and have visibility into how users are interacting with their devices. Enjoy peace of mind. As a trusted extension of your IT department, we create a customized plan within your budget and help you stay ahead of the curve by monitoring, adjusting, and maintaining your IT environment. When you have a large organization, unpacking each device and disposing of the packaging can take several hours. We’ve come up with a solution that decreases your environmental impact and streamlines your deployment process. After receiving your equipment in our climate-controlled and secure warehouse, we recycle all packaging materials and complete asset tagging and hard drive imaging. Designed to fit on a standard pallet, our one-of-a-kind shipping containers minimize waste by up to 80% and add an extra layer of security and protection to your delivery. With the ability to streamline large deployments to multiple locations, we bulk ship your units in our customized shipping container, so you can easily and quickly distribute your devices. During summer break, our certified technicians prepare your devices for the next school year by cleaning your systems and devices, diagnosing hardware issues, and repairing your in-warranty items. This process ensures your devices are in top-notch condition for the next user, plus it helps extend the life of your equipment. After cleaning and inspecting, we redeploy the devices back to you, taking care of every detail along the way. Having implemented and managed one of the largest state mandates in the country, you can feel confident that RTI has the resources you need to execute a successful 1:1 initiative. We are partners with the most respected names in IT, so you can be assured you’ll receive quality products at competitive prices. We’ll help you navigate all the choices and select the best systems for your students. With our hard drive imaging solution, we’ll ensure your students have their needed software before the first day of class. You can even offer your students an online shopping option with a customized website specifically for your school. We’ll help create the site and manage the sales for a complete solution. Our education specialists have years of experience navigating the E-rate program. We maximize every E-rate dollar while reducing complexity and improving security. 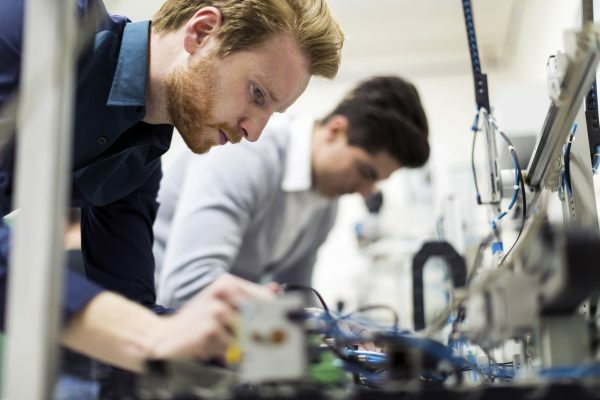 Whether you want Managed Services or need to update your network or hardware, our reliable solutions are tailored to meet your specific technology needs. Increase your brand’s visibility with our customization solutions. We perform all of our customization in-house, saving you time and money. We offer embroidery, heat transfer, decals, laser engraving, and banners. Uniquely identify your school’s laptops or iPads with a laser-engraved logo or full-color decal. Increase your brand’s visibility with logoed uniforms, laptop bags, sleeves, cases, and more! With such a big investment in your devices, protection is essential. Now you can easily charge, transport, and protect your devices—all at once. Whether you have iPads, Chromebooks, or laptops, we can meet your technology needs with our carts, cabinets, and charging solutions. Get the maximum lifetime value out of your laptops, notebooks, tablets, and other devices with TechProducts360.com’s bags, shields, and cases. Designed to stand up to the toughest conditions, these solutions ensure utmost protection. Plus, we can add your organization’s logo to these bags and shields. Talk to your RTI sales rep today to learn more!